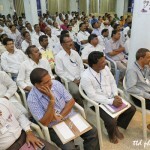 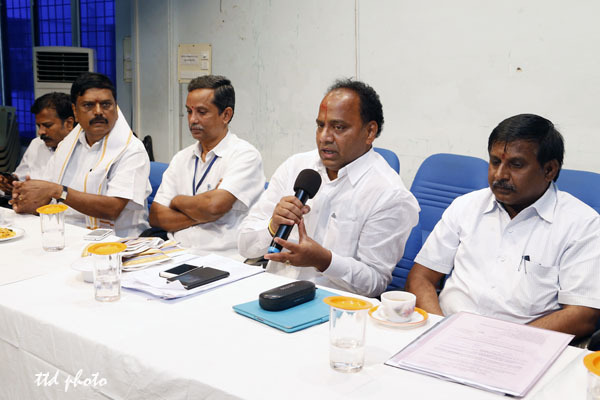 Tirupati, 24 September 2014: Tirumala JEO Sri KS Sreenivasa Raju on Wednesday advocated that all the employees of TTD will be anxiously waiting for their turn to serve the multitude of visiting pilgrims for the special event of annual brahmotsavams of Srivaru which is celebrated as a “Family Festival”. 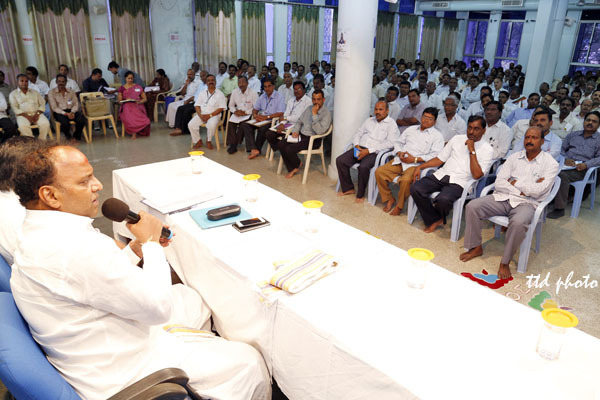 Addressing the deputation of employees of TTD for Brahmotsavams at SVETA in Tirupati he said, the employees of TTD are blessed to render service in the temple management. 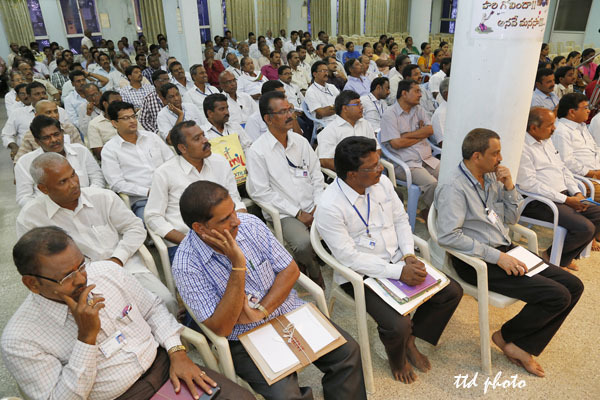 “Since you are well experienced in pilgrim service, there is no need to give you special training in pilgrim management. 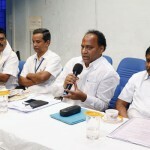 Render dedicated services to the pilgrims and see that they are not put to any sort of inconvenience”, he added. 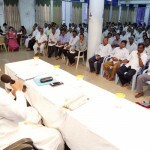 Services Dy E O Sri Siva Reddy, Temple Dy EO C Ramana, GM Transport Sri Sesha Reddy, EE I Sudhakar Rao and others were also present.